The Prime Minister Shri Narendra Modi has greeted teaching community on the occasion of Teachers’ Day. 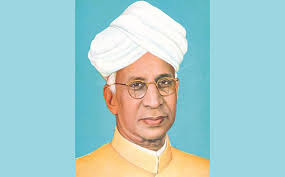 Prime Minister has also paid tributes to former President Dr. Sarvepalli Radhakrishnan on his Jayanti. “Greetings to the teaching community on the special occasion of Teachers Day. Teachers play a vital role in the shaping of young minds and building our nation. We bow to our former President and a distinguished teacher himself, Dr. Sarvepalli Radhakrishnan on his Jayanti”, the Prime Minister said.